The Gantry Crane is a symbolic tool for La Ciotat Shipyards. Created in 1969, when the shipyard of La Ciotat was lanufacturing oil tankers, the Gantry Crane was originally intended to be used for the construction of hull sections. Because of its history, strongly rooted in the city’s past, and its impressive size making it visible from several kilometers away, the Gantry Crane has become the symbol of La Ciotat. Nowadays, the gantry crane is used for lifting boats up to 600T or with peculiar shapes (including multihulls, or sailboats without dismasting). 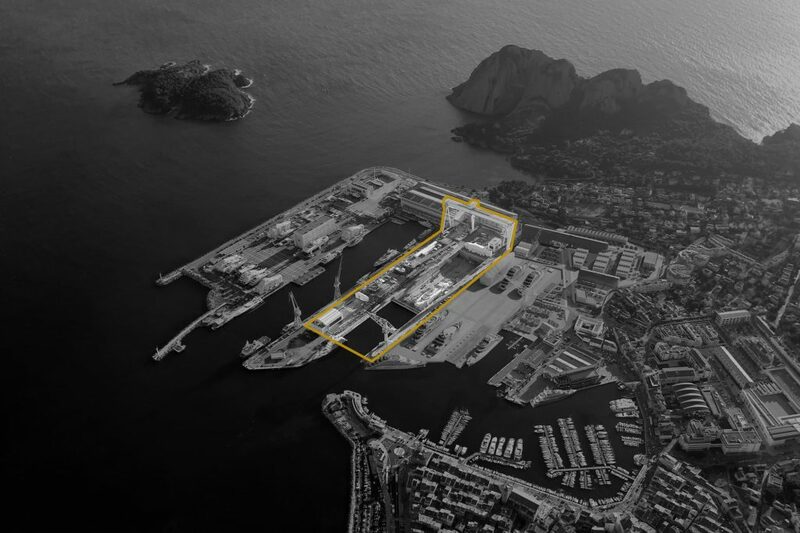 The Gantry Crane covers areas granted to MB 92 La Ciotat (Great Dry Dock and adjoining area ), as well as public areas. La Ciotat Shipyards is the only shipyard for refit of Yachts and Megayachts to provide such equipment. Reservations of lifting operations are open to ship repair companies who have previously entered into a risk prevention plan with La Ciotat Shipyards.